Explanation: It took three worlds to create this simple image. The first world was the Earth, which was quite prominent. The dividing line running horizontally below the middle separates sea from sky. On this part of the Earth, it was almost nighttime. The second world was the Moon, which was almost invisible. The Moon had its unilluminated half masked by the red sunset glow of Earth's sky. A thin sliver of the new Moon was visible, a crescent that traces the bright curving line. The third world was the Sun, which does not appear directly. All of the light recorded in the image originated from the Sun. The above half-second exposure was taken last week from Anping, Taiwan. 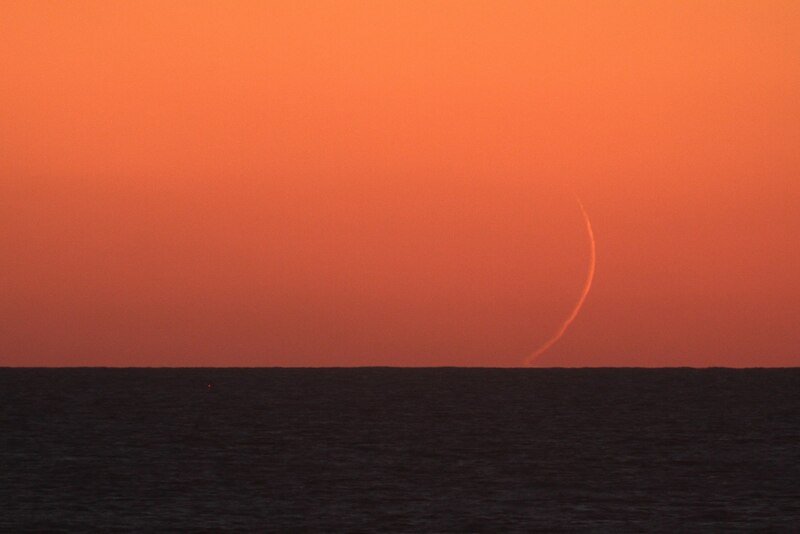 A few minutes after this image was taken the Earth had spun just a little bit further -- forcing the Moon to follow the Sun into the sea -- and the horizon to become dark.